Colin O'Donoghue at Comic Con 2013. . Wallpaper and background images in the Colin O'Donoghue club tagged: colin o'donoghue actor gorgeous handsome once upon a time comic con 2013. 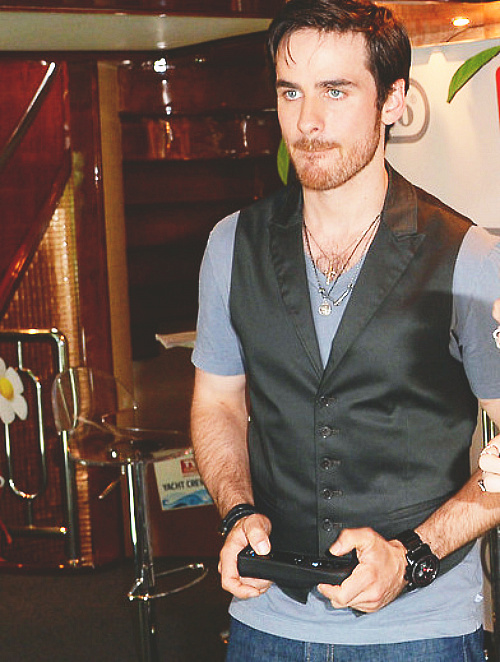 This Colin O'Donoghue photo contains parang, daging parang, helikopter, cleaver cleaver daging, saman perniagaan, and sut perniagaan. There might also be berpakaian seorang, guaman, seluar guaman, pantsuit, orang baik berpakaian sut, penekan seluar, spatula, parang, matchet, panga, and turut.